We're glad you asked because this one question is at the heart of why LED lighting makes so much sense. We'll try not to get too technical so you can put your protractor away but the root of LED light savings rests on the efficiency of how it works. We'll compare it with earlier and almost antiquated technologies like incandescent and the half-way there improvement of fluorescents. Lighting is truly ready for the biggest revolution since the first electric light bulb lit up the lab. Let's take a look at how LED's work. Our ultimate goal is to turn electricity or electrons into light or photons. Wattage is a measure of electricity that we used commonly on a large scale basis (such as your utility bill) while lumens is a measure of quantity of lights and you'll typically find this measurement on light bulb packages. 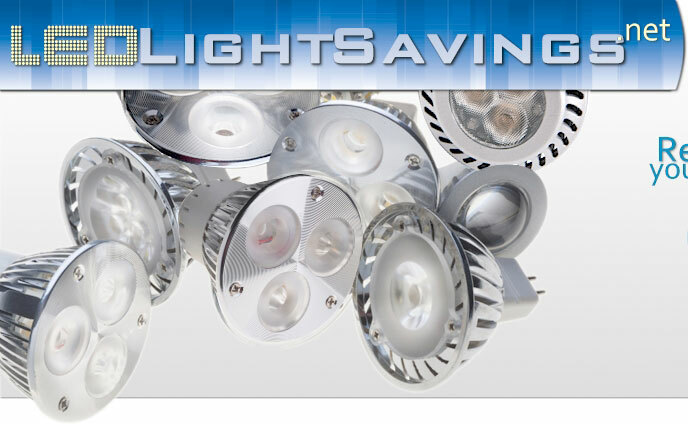 LED's are the most direct exchange of electrons to photons on the lighting market. What is an LED? LED stands for Light Emitting Diode. Diode is probably the piece that might be new to most people. It's a simple kind of electronic component. "Di" in this case means two since a diode will have two terminals. In the case of a diode, electrons only move in one direction and this is the key function of diodes. It's a way direct electrons one way which has many uses in electronics. LED's are diodes that are made of a special kind of material. Electrons enter the material and are absorbed by the atoms which eventually release this extra energy in the form of photons or light. It's a pretty lossless transfer of energy which results from the electron make-up of those atoms. There is very little heat actually generated from the electron/photon conversion which is critical. Heat is the enemy of all things mechanized and especially with electronics from computers to cell phones to....lighting. Heat, aside from being lost energy (outside of a heating lamp maybe) also is corrosive to all systems. By definition, heat is an elevated level of chaos and disorder and it loves to bring ordered systems (like the inside of your computer) down to its level. So, we want to keep heat away from our lighting system, right? The original lighting source, incandescent, practically runs on heat which is it's big Achilles heel. Certain materials will glow brightly when heated. These same materials resist electric flow so when an electric current is applied to them, they will heat up as a result of this resistance. This energy is then converted to a small amount of light and a large amount of heat. In fact, almost 90% of energy output from incandescent lights is in the form of heat. They should be called incandescent heaters in the aim of honest advertising. So, not only is there a 90% thief of energy at works with these lights, the heat generated will eventually (actually relatively fast) break down the system and destroy the filament (or material that glows when heated). That's the pop you hear when a standard incandescent light bulb goes. One other small note, the whole thing has to be enclosed in a glass vacuum which sounds like a recipe for disaster as in, "Don't drop it!". CFL's came along with better efficiency but not close to LED lights. They operate by exciting certain kinds of gas which absorb electricity and then release this energy as photons of corresponding wavelengths. This is why fluorescents have very funky colors and attributes to the eye. A few years from now, CFL's and incandescent will look like blood letting to cure the flu from the Dark Ages. With the cost savings proposition of LED's combined with new color tuning abilities for warmer tones, the LED works just perfectly for our modern day lighting requirements.